The TinyTalk DVD is really very special. It has taken nearly 6 months to produce and doesn't make any compromises. 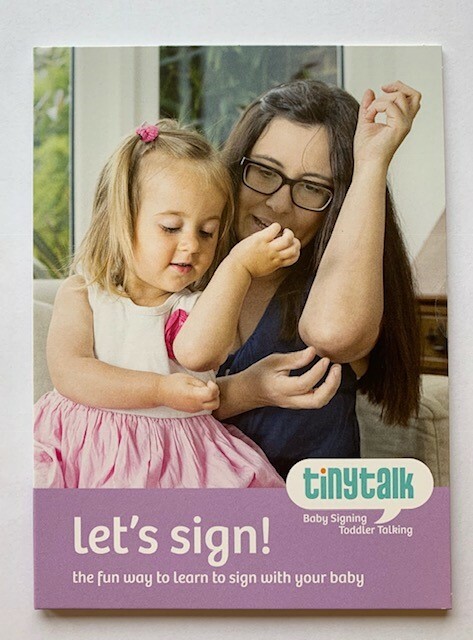 There are lots of songs performed in the class and on location, plenty of babies signing, parents explaining why they come to TinyTalk classes and sign with their children, as well as 150 signs clearly demonstrated. Each sign is shown twice through and has its own beautiful piece of film showing the object in its natural setting: there are pigs in their pen and apples on the tree, kisses from granny and sleepy bedtime scenes. This movie is designed for you to spend time with your baby, talking through what you can both see. The DVD's interactive menu allows you to go straight to certain sections, such as the songs or the signs. You can then click on your favourite song or signing category.